Just a quick note before we get started with the foodstuffs. Wing It may be down for a couple of hours this weekend while I move some furniture around here. If you subscribe to my blog via email, you might receive a test email some time tomorrow or Sunday. Sorry about any inconvenience that may come from this - I'll try to get it all done as quickly as possible! Aren't these cute? 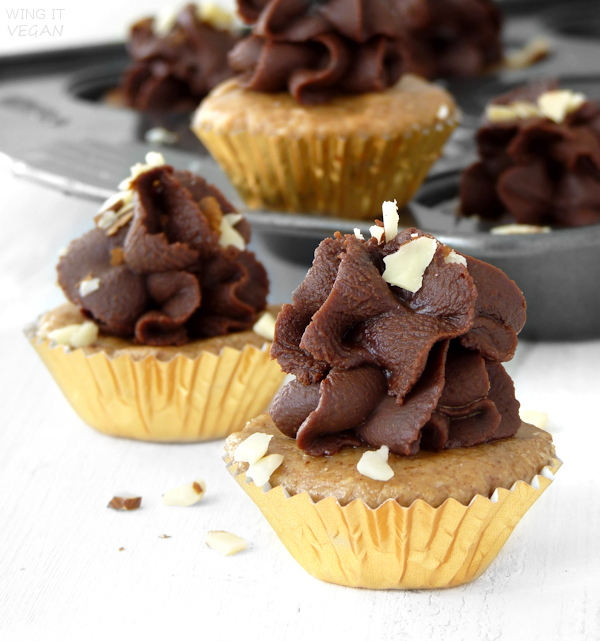 These tiny treats were inspired by and adapted from the wonderful Devil's Food Cupcakes from Practically Raw Desserts. They are, of course, not actually cupcakes in the strict sense of the word. No flour, baking powder, hot oven, and all that cupcakey stuff. 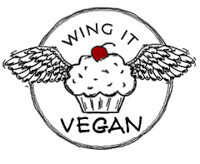 Mr. Wing-It described them as deconstructed almond butter Reese's cups, which is a fairly accurate description. These are not one of those "secretly healthy" things that are so popular right now. They are openly healthful and proud of it. Well, they still have sugar and fat, but compared to more traditional treats, I suppose they can get away with calling themselves openly healthful. You know what I think of when I see something described as "secretly healthy"? 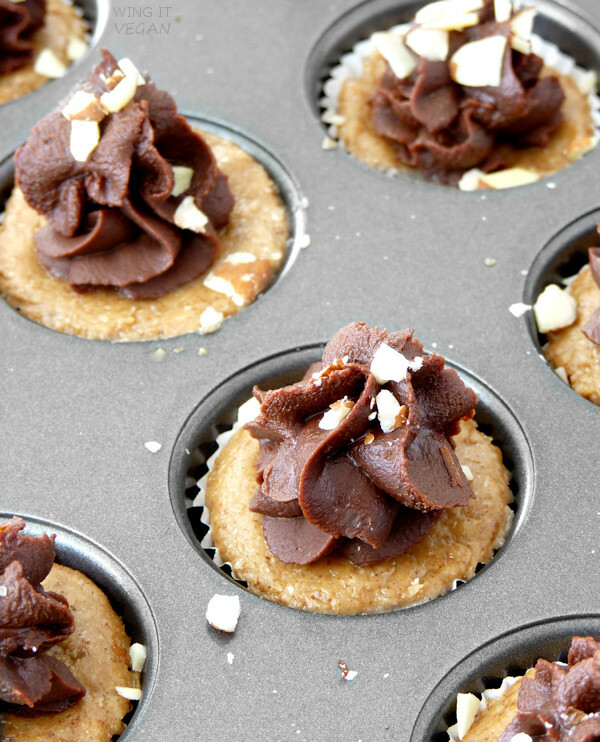 Secretly healthy cupcakes don't wanna go to school! OK, enough buffoonery. Let's get on with the recipe! 1. In a medium sized mixing bowl, combine the almond butter, coconut oil, agave, and vanilla. Mix well with a spoon. 2. Stir in the coconut flour and salt. Your dough should be fairly firm, but not hard and dry. It will firm up quite a bit in the fridge. 3. Line a mini muffin tin with 12 mini cupcake liners and evenly distribute your "cupcake" mix into each liner. Refrigerate for at least 30 minutes. If you're not sure if your mix is firm enough to set in the fridge, try doing one cupcake first and refrigerate it for 30 minutes to see if it firmed up. If not, add a little bit more coconut flour to your mix. 4. To make the frosting, combine the chocolate, almond butter, agave, and milk in a microwavable bowl. If you're using bittersweet chocolate, then one tablespoon of agave is probably plenty. If you're using unsweetened chocolate, then you might want to go with up to two tablespoons. Also, if you're only using one tablespoon of agave, you can go for the one and a half tablespoon of milk. But if you use two tablespoons of agave, then cut the milk to one tablespoon. It will keep your frosting from being too runny and un-pipable. 6. Pipe the frosting onto the little cupcakes using a fancy cake-decorating tip, or just *plop* it on top of the cupcakes with a spoon. It's all good. Sprinkle some crushed slivered almonds on top if you want. 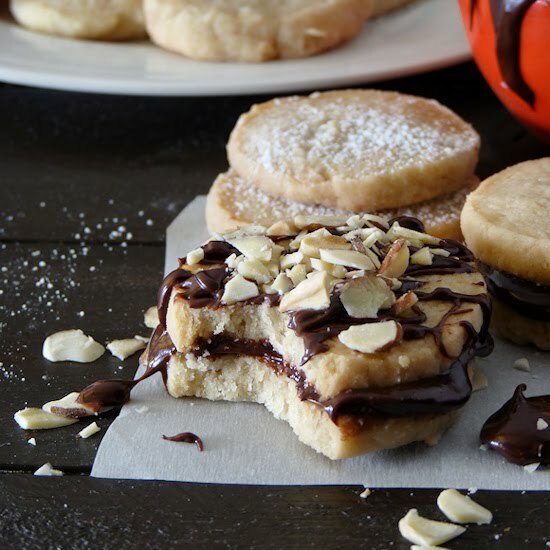 Unless you think the crunchiness of the almonds will get in the way of your enjoyment of an otherwise smooth treat. If your almond is already salted, you may want to skip the salt here. Give it a taste and add salt if you think it needs it. 1. In a mixing bowl combine the almond butter, melted coconut oil or vegan butter, and agave to taste. Mix well. 2. Sift in the cocoa powder, add a pinch of salt if your almond butter is unsalted, and stir until very smooth. Refrigerate for 30 minutes or until firm. 3. If your almond butter is quite firm, then your frosting will be firm as well and you should be able to pipe the frosting on top of the little cupcakes. 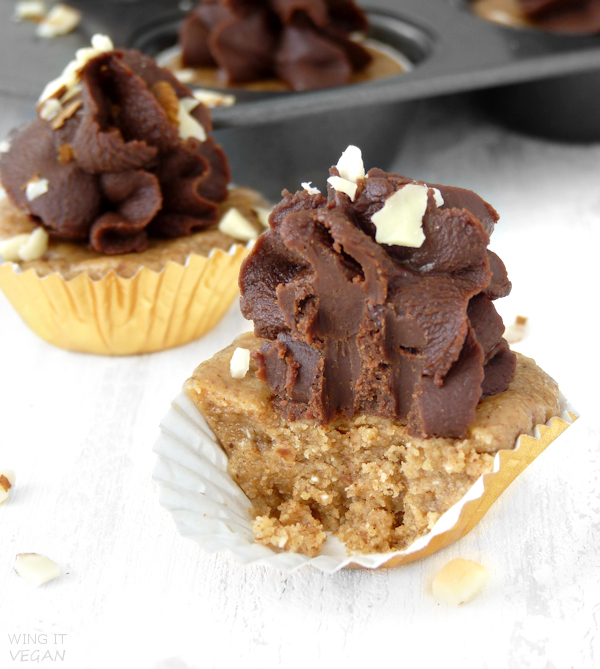 If your almond butter is runny, then your frosting will resemble a soft ganache and you won't be able to pipe it, but you can spread it on the cupcakes with a little spatula or a knife. My almond butter came from Costco, and the only ingredient in it is almonds. Perfect! Check out a few other things that I picked up from Costco last week. Flax, baby! Do you have a Costco in your area? Have you tried these veggie burgers? Excited to see the new blog layout! THOSE CUPCAKES. Stop it. Amazing. I'm too lazy to cook and bake these days, but all your posts look so good. Can you just come over and be my personal chef? GREAT, thanks. I can think of a little 7-year old who would love it if I brought these for dessert tomorrow night. I want those cupcakes! Even though it is technically the start of Autumn now, the weather still thinks it is summer, so no bake sounds just right!